The earliest records show that the first recorded instance of a Scout troop in Aberlady was in 1920. The Scoutmaster's name on the application form is unreadable and the troop met in the school house. On the form it looks like school house, Longniddry but Longniddry may have just been included as a postal address. 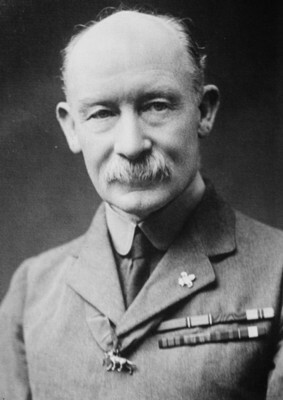 The Registration paper does not show a closing date but it is thought that the troop must have ceased for a time as it was re-registered again in 1928 this time with John Linkstone Adams as the Scoutmaster, his assistant being Jack M Jamieson. There was seven scouts and six wolf cubs. they were only in operation until 1935 when they closed. However this was not the end for scouting in Aberlady as there was a registration again in 1944, this time under the tutelage of Alfred E Young ( Scoutmaster ), William G Brown, Assistant Scoutmaster ( ASM ), Moira W Campbell ( Cubmaster ), Janet H Spiden, Assistant Cubmaster ( ACM ) , meeting this time in the public school. This expanded troop ( 18 scouts, 30 cubs ) only lasted for six years, so that by 1950 once again the village had no scouts or cubs for boys to join, for at that time Scouting was only for boys. Why the troop only lasted for a few years at a time before folding is a mystery, especially at a time when people were usually quite willing to offer their time and energy to such things. But this pattern continued, as a new troop - called 1st Aberlady - was started two years later, on 12th June 1952. Mr. Thomas C G Knight was the Scoutmaster with Helen J M Dunleavey as Assistant Cubmaster - why is there no Assistant Scoutmaster or Cubmaster mentioned in the records? We do not know. There was 17 Boy Scouts, 8 Senior Scouts and 17 Wolf Cubs. It looks to have been a good membership but as with previous incarnations this troop also folded, this time in 1963. Scouting in Aberlady was started up twice more, the first - again as 1st Aberlady - in 1969. The registration form shows only a Cubmaster, Margaret L Smith and ACM, Heather Anderson, with membership consisting of only 12 Wolf Cubs. They lasted until 1974. Finally in 15th December 1978 it was registered again this time as a sponsored Group within Aberlady Parish church. Once again membership was only Cub Scouts ( 18 ) and the officials were, Moira W Birnie, W Rafferty and J Minnis as CSL, ACSL and ACSL respectively - which we assume stands for Cub Scout Leader and two Assistant Cub Scout Leaders. There is no recorded closure date for this group. The meeting place for Aberlady Scout troop, as shown above, was recorded as the school or school house but someone here at aberlady.net thinks there was a scout hut on Haddington Road at some time. Do you know if there was or not? We would like to thank Pat Styles at Scouting UK for help with research.